Gutter Repair Chicago- Why we repair your gutters. From experience, most times, there is no reason to replace your entire gutter, downspout, and roof system. Instead, we specialize in repairing them. 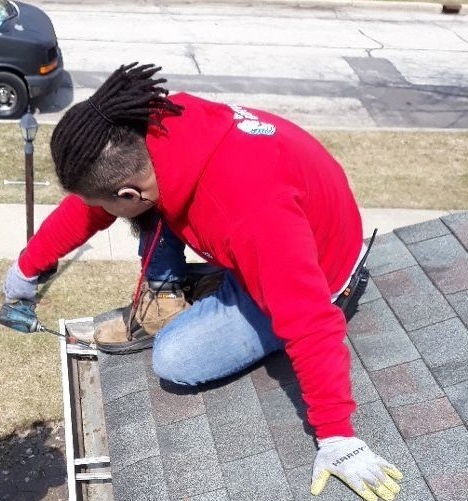 Our highly certified and trained Field Technicians go through extensive training in order to locate problem areas and construct proper gutter, downspout, and roof repair solutions. After each job is completed, not only do our customers save hundreds of dollars, but each time, we also accomplish our mission of building a healthy community by developing genuine relationships, making a positive impact and by being a faithful steward of all that has been entrusted to us. One of the biggest enemies to a homeowner keeping their home protected properly from the elements is a lack of education. 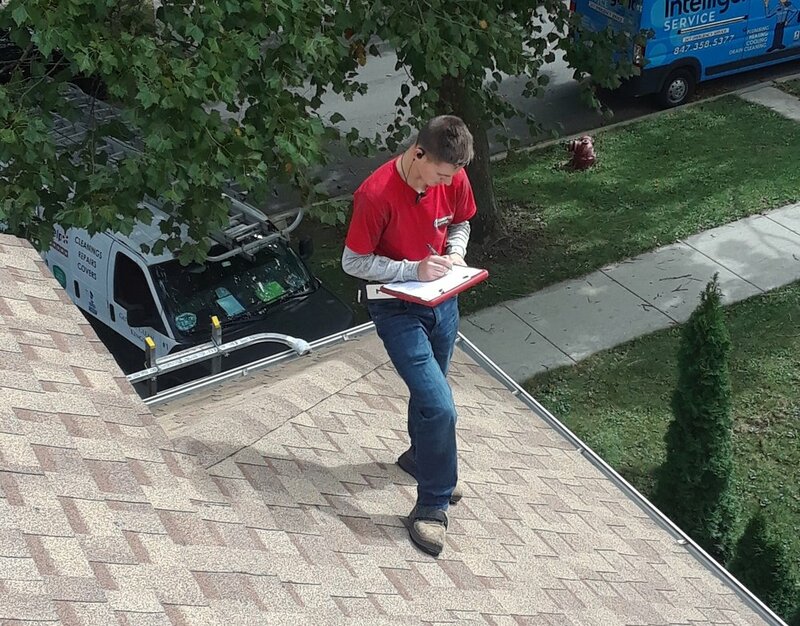 During our Free inspections, the proper time is taken out to get to know the home and make custom recommendations to our clients based on their specific needs including downspout installations, roof repairs and gutter guard installations. “Let us help you take extra good care of your home.“ During your repair service, if we see anything out of the ordinary that was not initially pinpointed during our initial gutter, downspout and roof inspection, we fix it on the spot at no charge to you- so long as it is nothing major. Because We Care, we use the highest quality of tools, products, and methods on the market. If you want to prevent future problems with your gutter system we highly recommend our gutter cleaning services in order to keep you gutters clean and trash free. If you have any questions to help determine on how you can take care of your home's needs or would like to speak with one of our service specialists about a gutter, downspout or roof repair service, give us a call and we would be happy to answer any questions to help educate you.